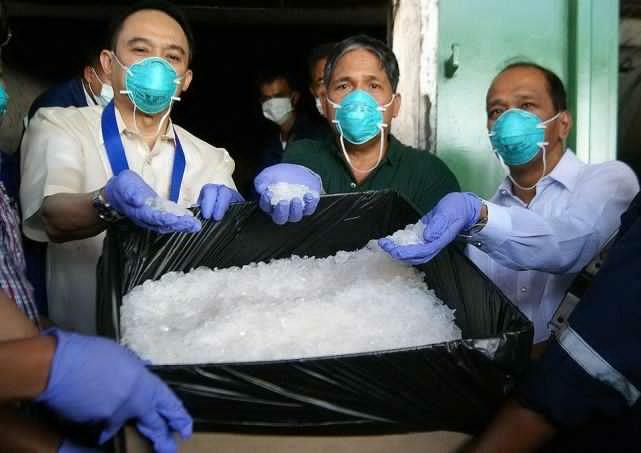 MANILA – Authorities seized a total of PHP5.27 billion worth of shabu in the first quarter of the year, posting the highest volume of illegal drugs seized in the country’s drug law enforcement history, the Philippine Drug Enforcement Agency (PDEA) said Sunday. PDEA Director General Aaron N. Aquino said in the first quarter of 2019, the agency seized a total of 776.06 kilos of shabu worth PHP5.27 billion, surpassing the combined seizure of 672.42 kilos of shabu worth PHP4.58 billion from the first quarters of 2009 to 2018 by 103.64 kilos worth PHP704,752,000. “This is the highest recorded shabu seizure for the first three months of the year in PDEA history. It also more than doubled compared to the second highest first quarter seizure which was recorded in 2015 with 314.47 kilos worth PHP2.14 billion,” Aquino said in a statement. Aquino said the record seizure of shabu during the period is the result of the series of bulk volume of shabu seizure in Cavite, Muntinlupa and Manila wherein a total of 716 kilos were seized worth billions of pesos. The PDEA chief said the 2,034 anti-drug operations conducted and 2,818 drug personalities arrested by PDEA for the period are also the highest since 2009. “This is an increase of 76.10 percent and 72.35 percent, respectively, compared to the same period in 2018,” Aquino said. “This volume of seizures is an indication that we are conducting high-impact operation and hitting high-value targets,” the PDEA chief said, adding that the agency is also focused on the implementation of anti-drug advocacies such as Balay Silangan which caters surrendered drug personalities, and Sagip Batang Solvent which focuses on children hooked on illegal drugs.